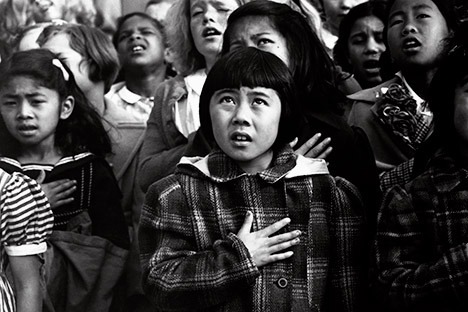 Christopher Smith, UC Berkeley MJ'94, was the 1994 recipient of the Dorothea Lange Fellowship. This article originally appeared in the Summer 1996 issue of Berkeley Magazine. The legacy of the world's most noted documentary photographers gives students and faculty the opportunity to seek art or activism through the camera. Their efforts, some shown here, reflect the continuing debate over the purpose of photography. 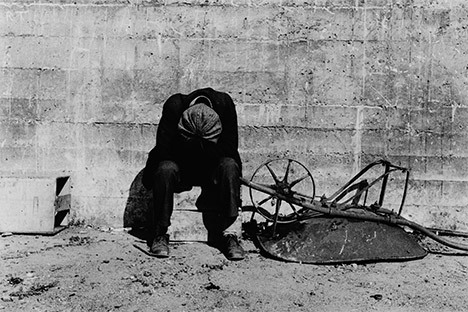 In the winter of 1935, a San Francisco portrait photographer and a UC Berkeley economist set out to document the plight of migrant farm workers driven to California by the Great Depression. For the photographer, Dorothea Lange, it meant tying her art to both a cause — an activist cause — and an academic investigation. For the economist, Paul Taylor, working with Lange was the culmination of unorthodox research techniques that placed greater emphasis on photography and interviews than on quantifiable data. 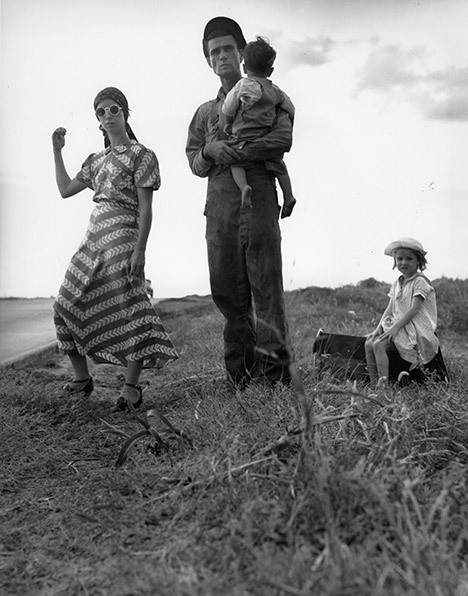 This marriage of photography and academic investigation, echoed in the real-life marriage of Lange and Taylor, has its legacy at Berkeley in the Dorothea Lange Fellowship. Established by Paul Taylor in 1981, a decade and a half after Lange's death, the annual award funds the use of color or black-and-white photography in an academic project by a faculty member or graduate student from any discipline. True to the spirit of Lange's and Taylor's achievement, most of the projects to receive the $2,500 fellowship are drawn from the social sciences and focus on themes that have been overlooked by commercial mass media. They address subjects that span the globe, from India to Ecuador, Tibet to Mexico, in many cases staying remarkably close to the essential topics addressed by Lange and Taylor: poverty, migration, rural hardship, and social upheaval. Like many of my fellow award recipients, I was already quite committed to documentary photography when I won the Lange Fellowship in 1994. My project, also funded by Sweden's Ministry of Information, was to photograph the rise of anti-immigrant sentiments in that country. While my interest in the theme I had selected was genuine, what I found -- and suspect motivates many of the great documentary photographers -- was that my true allegiance was to a personal way of seeing, of relating to a subject through photography. Accepting the fellowship money was easy enough, but accepting Lange's credo -- that art and personal expression should be subordinated to a social cause -- was more difficult. It demanded an exploration of both her work and my own ideas about photography. While I have always admired the epic quality of her images and the dignity she imparted to her subjects, Lange's photographs raise for me rather prickly feelings about documentary photography. I have long felt that the same sense of purpose that gives her best Depression-era photos their tremendous power also, at least from our current perceptions of visual truth, limits them to a stance akin to propaganda. Was it even possible for Lange to work for a social cause, and at the same time remain loyal to her personal conception of truth? Given the opportunity to write this article, I decided to contact as many of the Lange Fellowship recipients as I could, hoping to gain some insight from their experiences in documentary work. My first visit was to Ken Light, my former instructor at Berkeley's Graduate School of Journalism, who received the award in 1987 for his book project on Mexican migrant workers. Light draws tremendous inspiration from the passionate, partisan attitude Lange had toward her subjects. His books on Mexican migrant workers and Southern sharecroppers not only look like something from Lange's era, they are every bit as adamant in taking sides with the poor and the dispossessed. Our conversation was something of a head-butting match, with Ken endorsing photographers who actively back a cause, and me more tentatively suggesting that there might be more integrity in work that kept a prudent distance from its subject matter. If my conversation with Light left me feeling a bit like one of those "artist photographers" reviled by Lange for attempting to "translate the outside world in terms of their [own] needs," the next few interviews helped me recognize that excellent photography can also come from sensibilities attuned to photography's interaction with the subject, rather than the medium's service to it. Just as Edward Weston and Ansel Adams claimed during Lange's era to find "just as much 'social significance in a rock' as in a 'line of unemployed,'" so have several of the Lange Fellowship recipients focused their lenses in rather independent directions. My Journalism colleague Eric Gran set out last year to document religious tensions in India, but instead captured secular interactions of light and texture that do, somehow, approach a religious level. Amie McNeel, a sculptor and graduate of the art department, used her award in 1990 to photograph early-industrial hand tools in the American West -- a source of inspiration in her sculpture. Don Richards, a former environmental design student, traveled across the U.S. investigating the way rural and small-town America lights itself at night. He was arrested seven times for the sake of his photographic cause. I also spoke with Therese Heyman, curator of photography at the Oakland Museum and an important scholar of Lange's work (also spouse of former chancellor Ira Michael Heyman, now secretary of the Smithsonian Institution). As a member of the Lange Fellowship Awards Committee, she seemed a good person to ask about Paul Taylor's intentions in setting up the fellowship. "Paul had a way of seeing photography for its ability as a language," she told me. "What he wanted was to encourage a use of the camera that has some meaning beyond the photographic, aesthetic one." Taylor would be proud of Lee Brumbaugh, who in 1989 photographed contemporary Native American culture in California; and of Nina Egert, who documented the work of women in rural Tibet in 1992. I saw an exhibit of her photos in the Hearst Anthropology Museum during my first year at Cal. Other fellowship winners to follow closely in Lange's footsteps were Pamela Isreal, who recorded threatened Amazonian tribes in Ecuador, and Alison Wright, who traveled to Nepal to create a photographic "sociological statement" on the tragedy of forced child labor. So could I be wrong? Was the ultimate value of a photo the change it made in opinions and agendas? A renewed look at Lange's work in the context of her social activism still left me wondering. 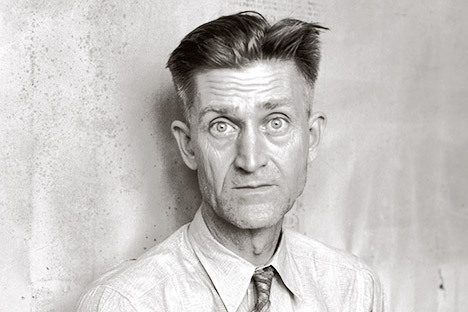 Lange's Depression-era photographs remain valuable, it seems to me, not because of their historical or social relevance, but because of the personal passion they communicate. Paul Taylor offered her a sense of mission that she seized upon, and that spurred the best work of her decades-long career. But the photography was borne of a feeling she had for people, for a certain class of people she loved. The photographs of Sue Rosoff, who used her award to hit the road with rodeo cowboys she still photographs today, carry a similar feeling. Her riders are not at the lowest rung of society; they are not a "social cause." But Rosoff's photos echo Lange's in the most essential way: the ultimate purpose is in responding to someone or something, and if there is any injustice, it's that the rest of the world hasn't seen and felt the way you have. As Weston said about social significance in a rock: "If I have in some way awakened others to a broader conception of life...then I have functioned, and I am satisfied."